Okay peeps. Much like Christina Aguilera’s fifth album, we’re going back to basics today. Thanks once again to the Ovenly cookbook, I’ve been inspired to take a good, hard look at classic recipes like, say, chocolate chip cookies, to see if my own favorites need revamping. 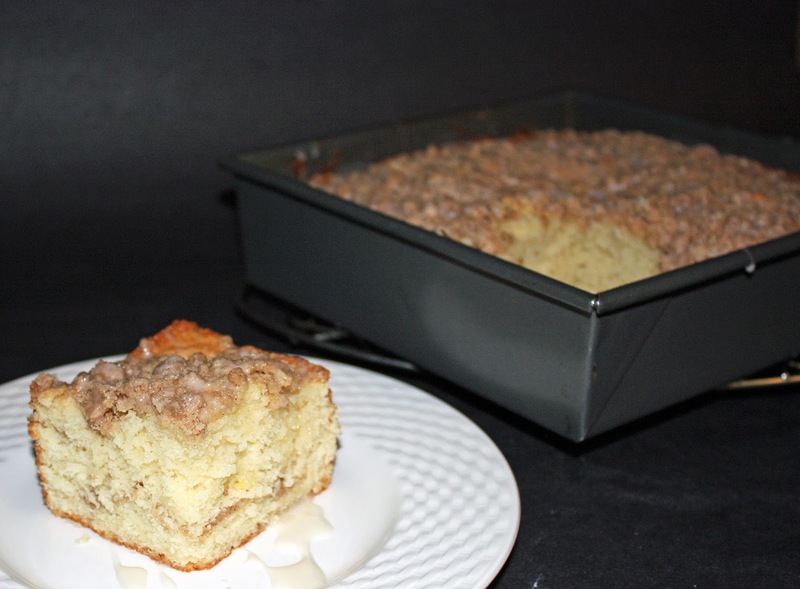 Although it’s one of the simpler recipes in the book, I was struck by Ovenly’s coffee cake, with its fluffy white crumb and buttery streusel, and decided to whip up a batch myself. 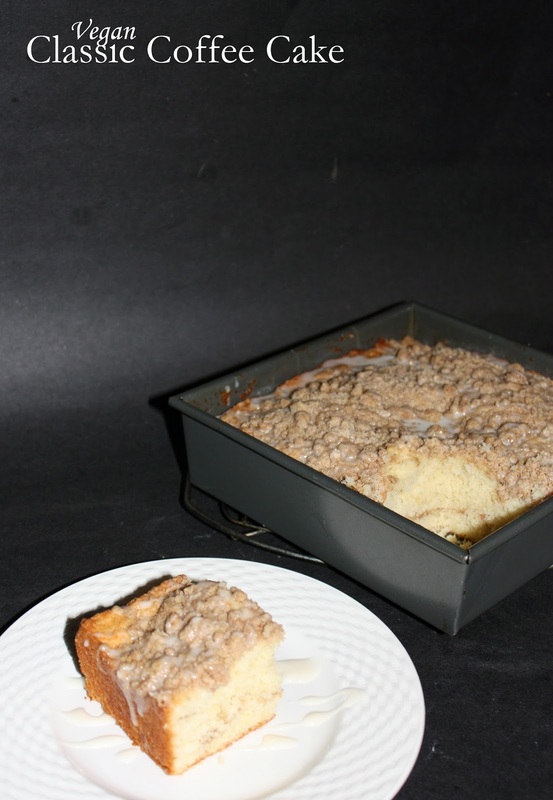 I already have a recipe for coffee cake on the blog. This perennial coffee bundt cake has always been a given as our favorite coffee cake, with the golden brown exterior and abundance of nutty streusel. But what about a coffee cake that’s not baked in a bundt pan? Or one with about a cup of butter and two cups of sugar? You can’t blame me for being curious. So, with a few alterations (halving the recipe so it fit in a 10-inch pan and veganizing it, of course), I baked up Ovenly’s recipe, to great success. I’ve actually made this twice, partly because I didn’t get any good pictures the first time, but mostly because it was so goddamn good. There really is nothing like cake for breakfast, you know. I also added some vanilla glaze on top of the not-too-meager streusel topping. Because that’s how I roll. Plus glaze adds something special to an already-moist cake, a little bit more flavor and sticky goodness. Basically? While the other coffee bundt cake recipe has its merits, this cake may become the new mainstay of our kitchen. Bundt cakes are good for gifts, but this one is perfect for stay-at-home brunches and lazy Saturdays. Preheat oven to 350 degrees. Grease a 9-inch square baking pan and dust with flour; set aside. Start by making the streusel. In a small bowl, whisk together flour, granulated sugar, light brown sugar, ginger, and cinnamon, being sure to thoroughly incorporate brown sugar. Add melted coconut oil and stir to combine. Set aside. To make cake batter, whisk together flour, granulated sugar, baking powder, salt, and baking soda in a large bowl. Place milk, lemon juice, tofu, and yogurt in a blender and blend until smooth. Add melted vegan butter and blend until combined. Pour liquid ingredients into dry and stir with a spatula or wooden spoon just until combined and no streaks of flour remain. Do not over-mix. Add half the batter to the prepared baking pan, sprinkle with about half of the streusel, and add remaining cake batter. Sprinkle the other half of the streusel on top. Bake cake for 35 minutes, or until a toothpick inserted comes out clean and the cake is a light golden brown. In the meantime, whisk together ingredients under “glaze” in a small bowl to make vanilla glaze. Let cool in pan for half an hour before slicing and serving. Drizzle with vanilla glaze. Sorry if the glaze looks weird. While you’re here, check out these other brunch-friendly recipes. Oatmeal peanut butter chocolate chip scones. Like an oatmeal chocolate chip cookie for breakfast! Peanut butter chocolate chip banana bread. More peanut butter. Peanut butter-stuffed brownie French toast. Yeah, I may have a thing for peanut butter. 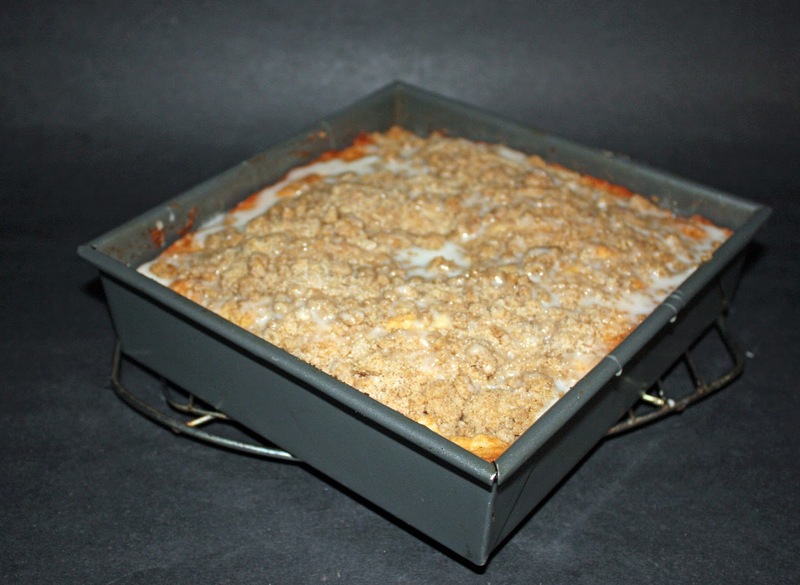 This looks so good, and the streusel topping is delicious, must save it to my must try recipes! I have that cookbook but haven't baked enough from it! Love this classic coffee cake. It's stood the test of time for a reason! I love classics like this one! Looks perfect! What a great way to use silken tofu!! I'm definitely pinning this one! Your vegan cake looks sublime, June. Thank you for sharing the recipe =) P.s. Love that you "design sweets." 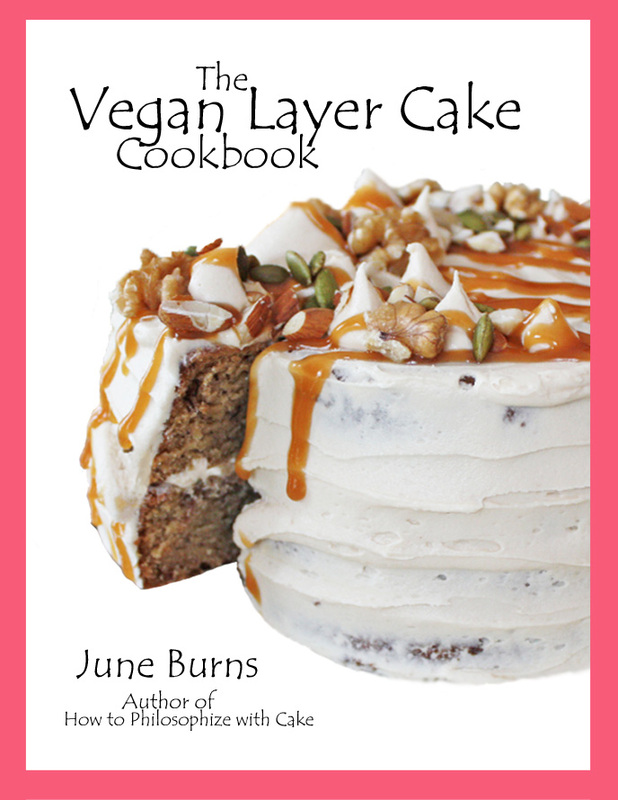 Hi June, love how you made this vegan, my daughter-in-law would love this. I love that you made this as a smaller version---perfect for a weekend breakfast. The double layer of streusel makes this a winner, too!!! 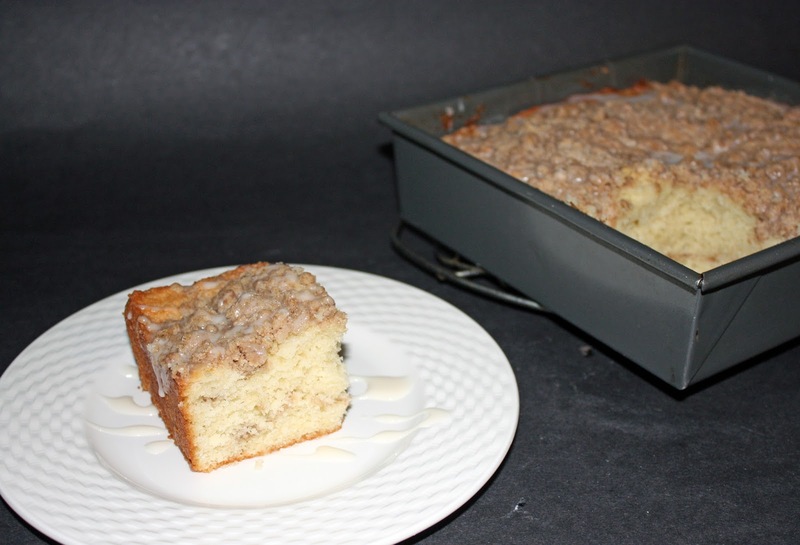 I can't resist a delicious slice of coffee cake. I love that you used vegan ingredients! I wish I had a slice of this for breakfast. Oh man, that streusel is to die for! I'm such a sucker for coffee cakes -love it!